Subsidized by financial resources of the EAA Financial Mechanism 2009-2014 pursuant to the contract no. 508/2014/Wn50/OP-XN-02/D signed in 2013 with Narodowy Fundusz Ochrony Środowiska i Gospodarki Wodnej. 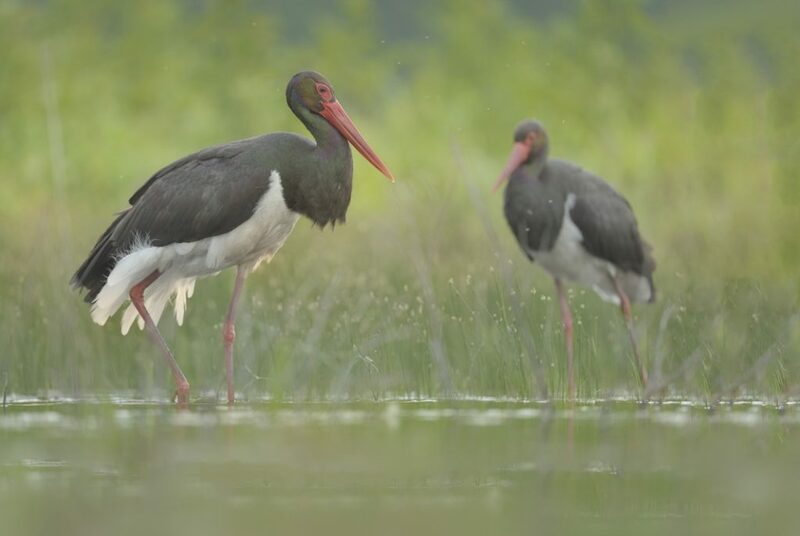 main goal: protection of endangered avifauna species of the artificial reservoir in Kaleńsko and Chlewice as well as recreation of the flood meadow environment in Żabczyn. partners: Municipality of Boleszkowice, Municipality of Górzyca, Minerały sp. z o.o., Ptaki Polskie Association, Ecological Farmstead in Żabczyn. 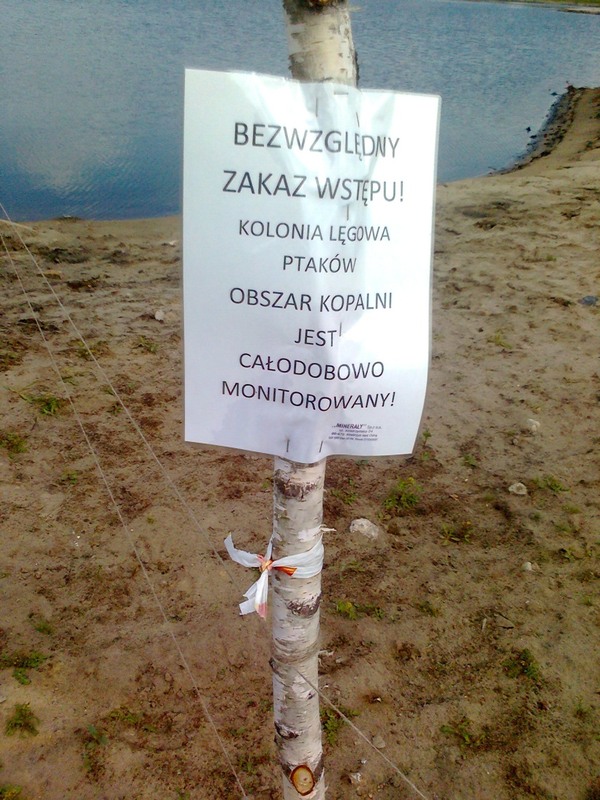 The goal of the project is to protect endangered avifauna species of the artificial reservoir in Kaleńsko (lot no. 164/13, Kaleńsko area). Its fauna found there one of the last safe havens in the valley of the Odra river. 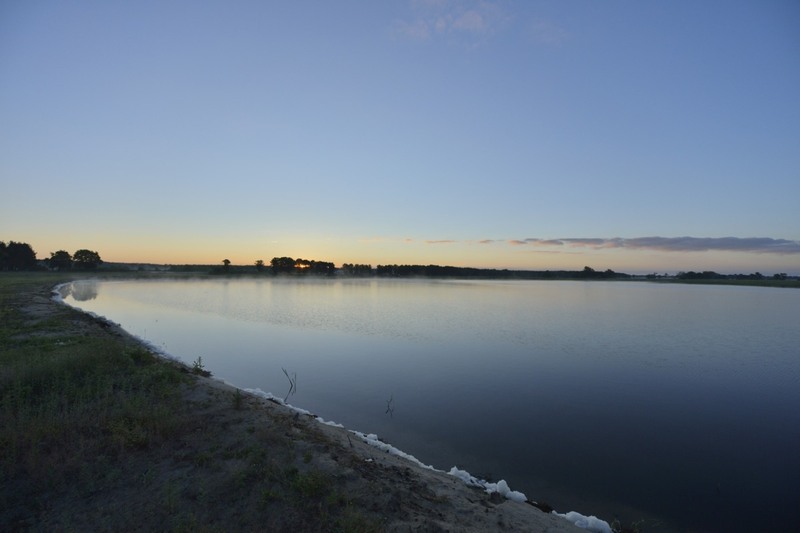 The subject of the contract is to make 200 m2 of the previously mentioned reservoir’s surface available. According to the project, two floating nesting platforms are meant to be installed on the water surface in order to imitate natural islands. 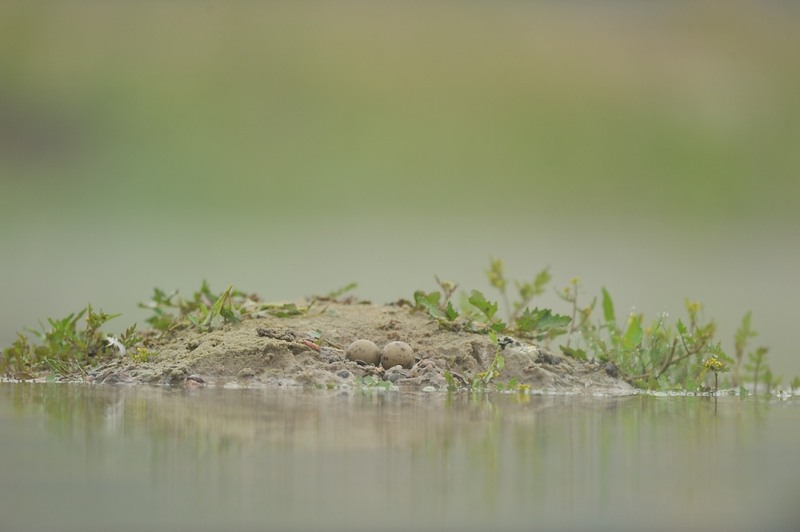 It would secure the birds’ clutches (which were able to hatch only once since 2007) from the destructive influence of water level fluctuations (the nests are usually flooded or destroyed by predators after the water level violently drops, mostly by American mink Neovision vison). Those actions are not only righteous, but also fulfill the duty imposed on Poland by the law of European Union. The Municipality of Boleszkowice is not burdened by the costs of the project. 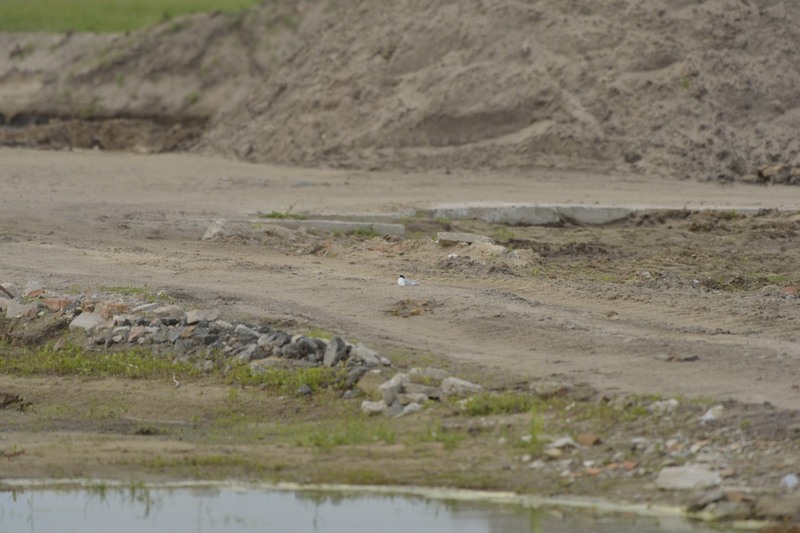 It only involves granting permission to reclaim the 200 m2 of the area of water surface (the obligations of the Municipality of Boleszkowice are determined by the Partnership Contract (paragraph 6, act 2)). The assumed realization of the project does not exclude further exploitation of mineral resources. 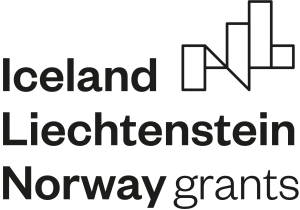 The realization of the project includes a broad range of actions outside of the municipality’s terrain and its grounds (the plans include placing a third “island” on the surface of the body of water in Chlewice and recreating the marsh with a controlled water level in the Municipality of Górzyca). 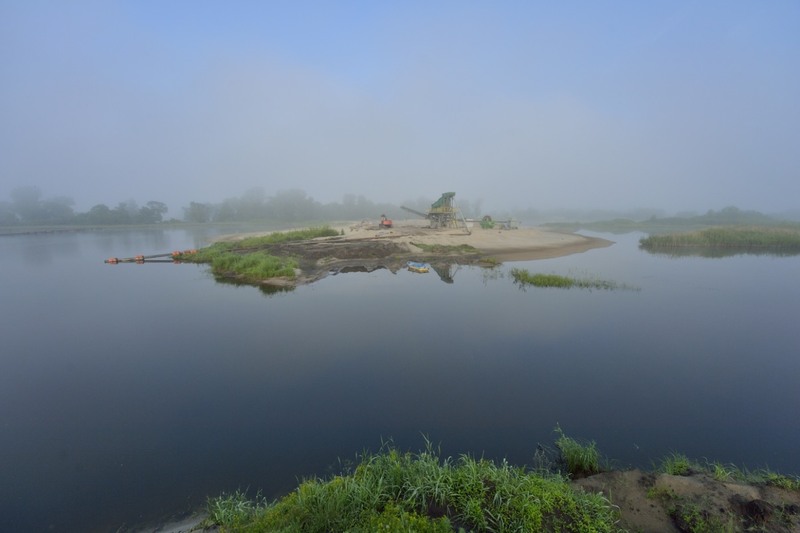 Currently, the body of water that is a subject of the project is rented by the company Minerały sp. z o.o., which is also a partner of the project by sharing their lots on the reservoirs in Chlewice and Kaleńsko for the duration of the renting contract. The potential joining of the Municipality of Boleszkowice to the project would take place after the renting contract has finished. The realization of the project entails great involvement in promoting the area (the majority of academies and centers associated with wildlife tourism) and educating children and teenagers. The project also includes trips for groups of students, which are meant to present to the young the urgent need of implementing the project, as well as the natural value of their small homeland. 3. monitoring, educational and promotional activity. 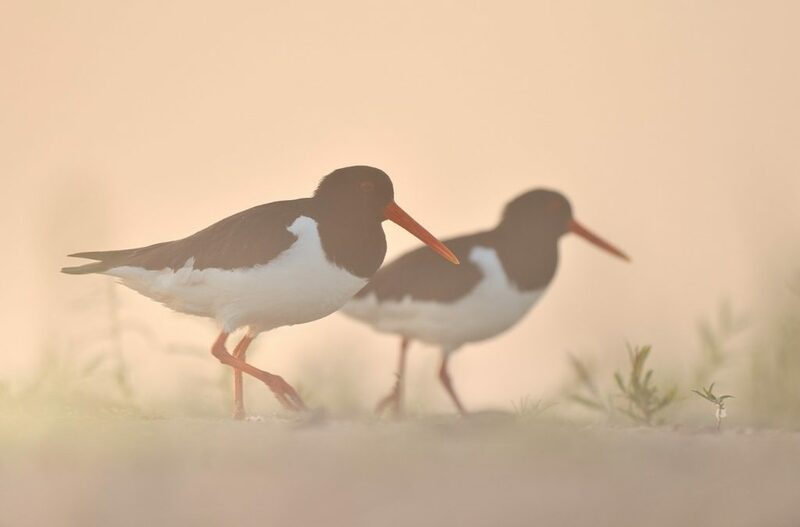 The project is a consequence of longstanding observations of annual losses of protected bird species’ clutches, including those listed in the first attachment of the Birds Directive. The data concerning the success in breeding was gathered in the years 2007 – 2013 by the Foundation (P. Chara, G. Sepołowicz, P. Kaczorowski) and “Zachodniopomorskie Towarzystwo Przyrodnicze” (Ł. Ławicki, S. Guenzel, etc.). 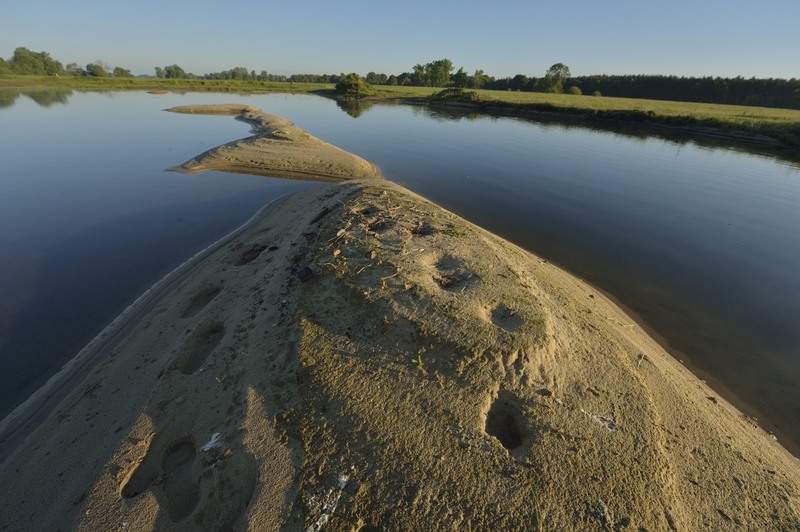 The observations were made on two reservoirs measuring several hectares (“Kaleńsko” and “Chlewice”) formed as a result of exploiting gravel deposits. Artificial reservoir in Chlewice with low water level. Surprisingly, those reservoirs became a “magnet” for birds. The reasons for that are appropriate nesting conditions (rich shoreline and islands made of a sturdy, mineral foundation) that so many species seek. The lack of similar biotypes in valleys of the Odra and Warta rivers is related to the solidification and regulation of their riverbeds with stone fascines, which stopped the creation of (currently in irregular and large rivers) shallows and islands in the riverbed, which once functioned as natural nesting sites for the bird species mentioned above. Artificial reservoir in Kaleńsko 2. As birds lack similar habitats, those conditions attract a large number of them. This number can be recognized as significant in western Poland. Leaving out migrant birds (mostly ducks and waders, among them the terek sandpiper Xenus cincerus, which occurs very rarely in Poland, or caspian tern Hydroprogne caspia) for which both reservoirs are important places for rest, several bird species proceed to breed there every year. 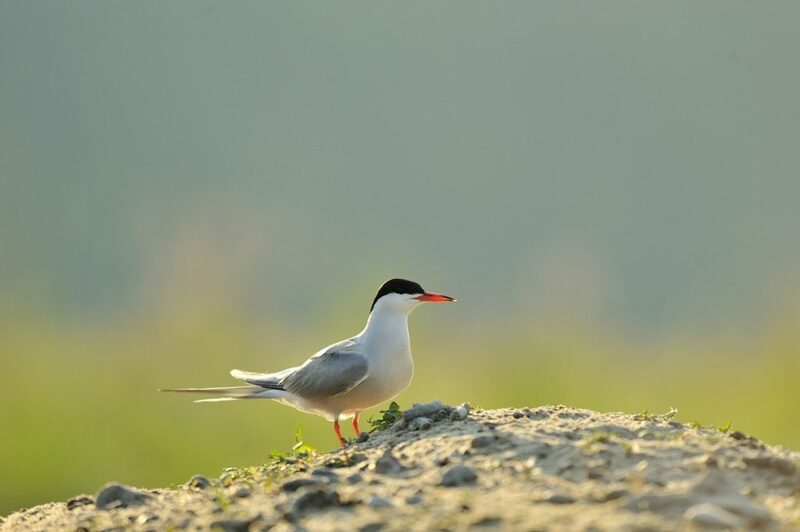 Among them are those listed in the Birds Directive, which includes: little tern Sternula albifrons, 2 – 4 pairs usually, in 2013 – 11 pairs, common tern Sterna hirundo, 2 – 4 pairs as well, in 2008 – 12 pairs, in 2013 – 14 pairs. What is more, 1 – 2 pairs of eurasian oystercatcher Haematopus ostralegus(!) attempt to breed there each year, 3 pairs in 2009(! 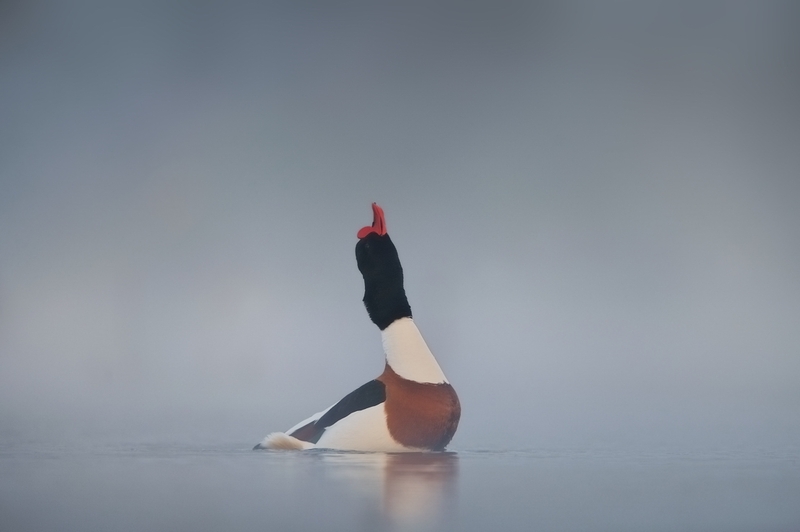 ), common shelduck T. tadorna and little ringed plover Charadrius dubius, 1 – 3 pairs each year. 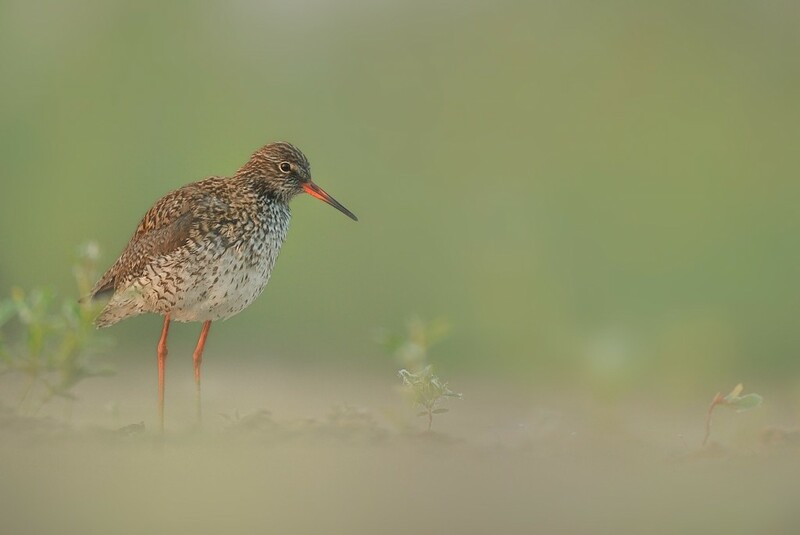 Common redshank Tringa totanus and common sandpiper Actitis hypoleucos, 1 – 2 pairs every year. Even more species from the Birds Directive seek food around the bodies of water, those include: black stork Ciconia nigra, western marsh harrier Circus aeruginosus or osprey Pandion haliaetus. The photographical documentation visible below shows the bird species and their nesting conditions. All pictures were taken in the area of the reservoirs mentioned above. 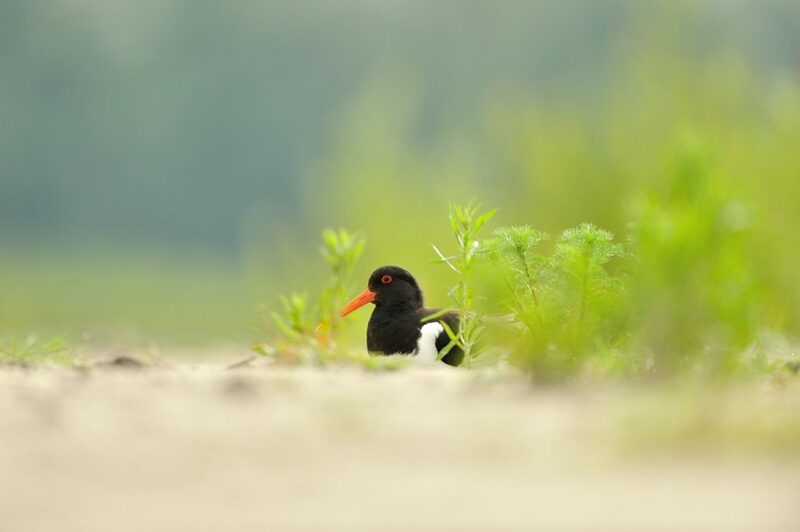 Breeding eurasian oystercatchers on an island on the body of water in Chlewice. 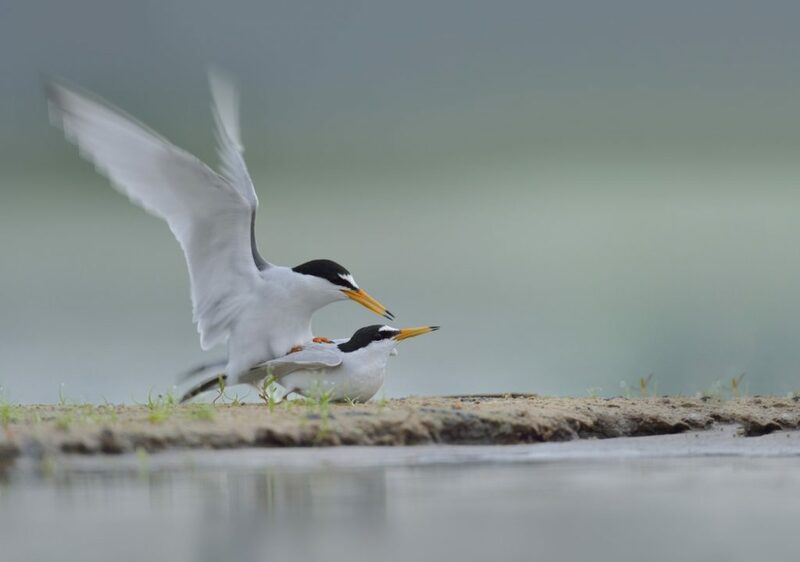 Courtships of little terns (Chlewice). 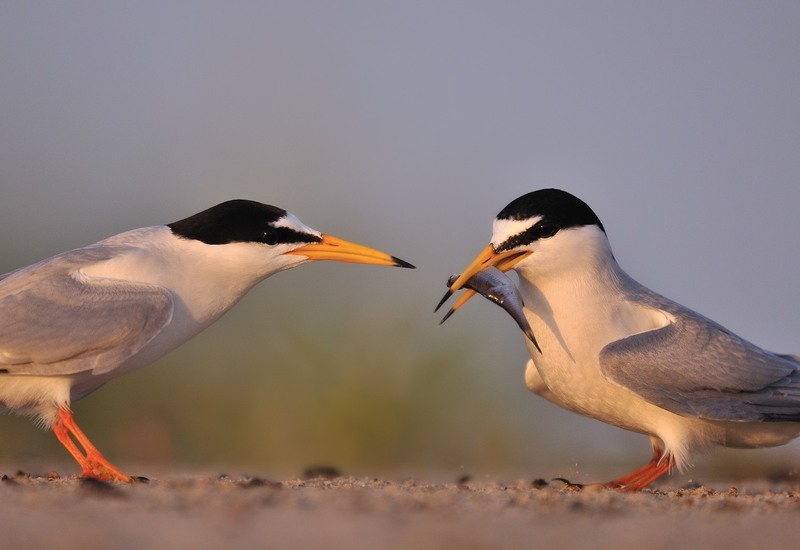 Copulation of little terns (Kaleńsko). 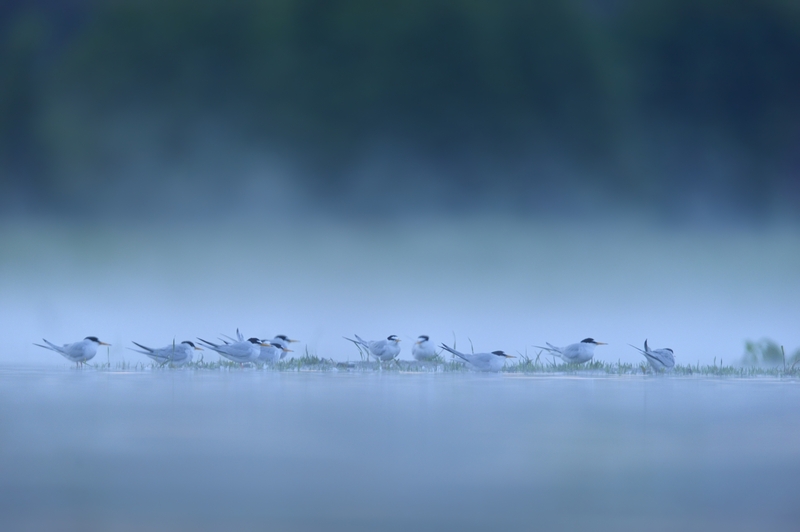 Copulation of common terns on an island on the bodies of water in Kaleńsko. 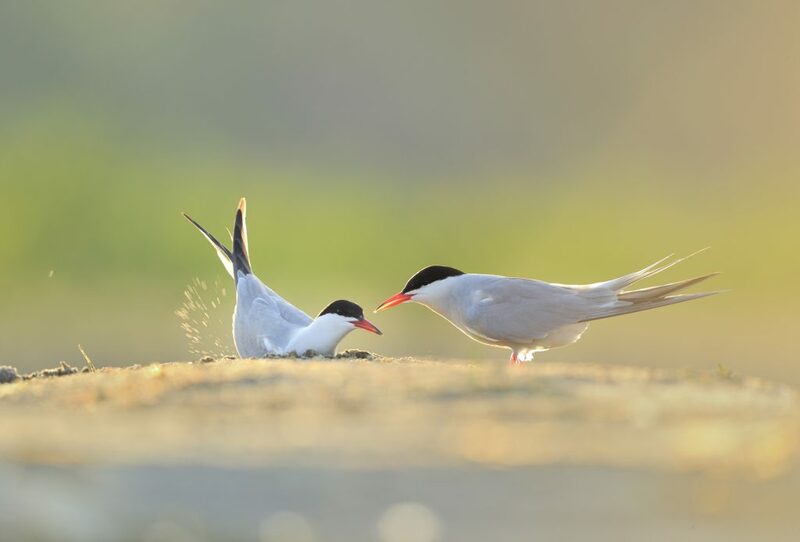 Common terns digging a nesting pit. 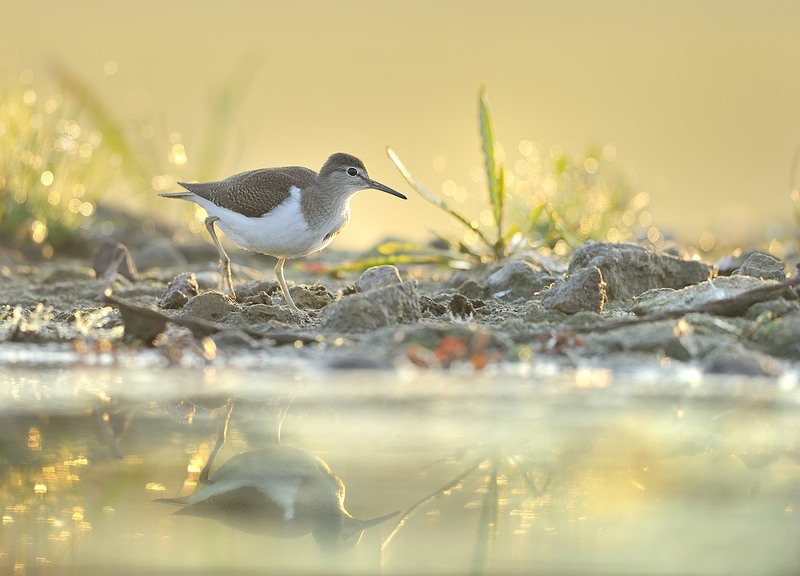 Common sandpiper near its nest (Kaleńsko). Common redshank on an island on the body of water in Chlewice. 2 – 4 pairs of common shelduck breeding in the area of both mines. 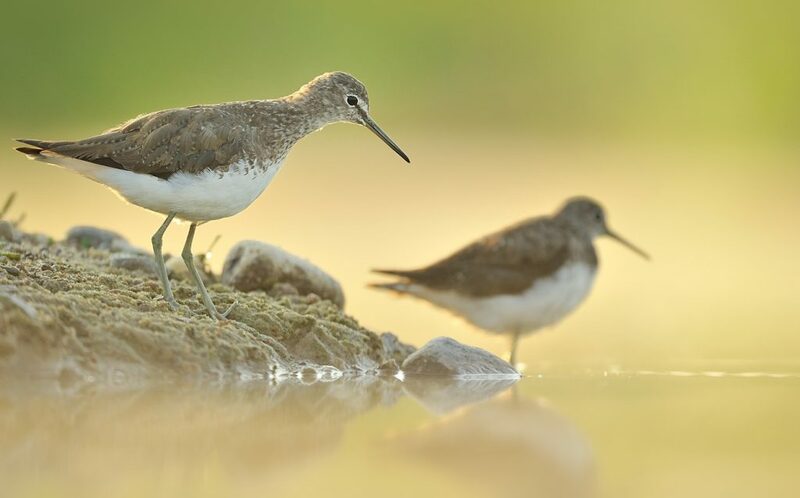 Green sandpipers during autumn migration (Kaleńsko). Common greenshanks during autumn migration (Kaleńsko). 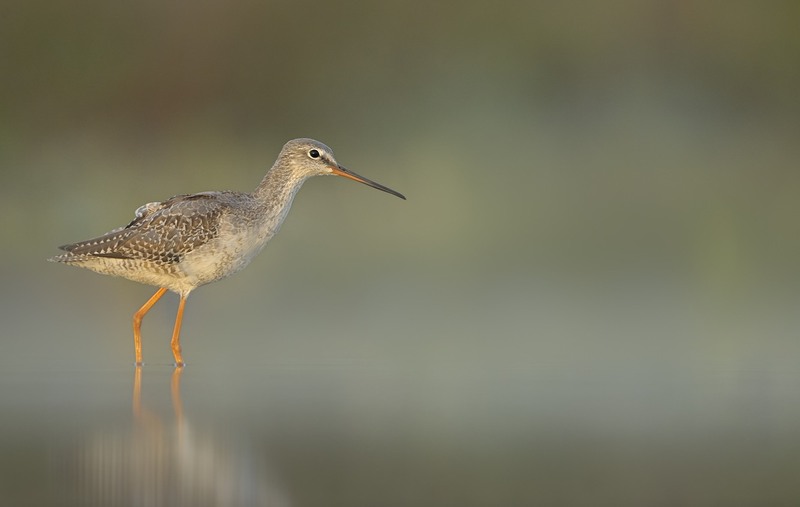 Spotted redshank during autumn migration (Kaleńsko). 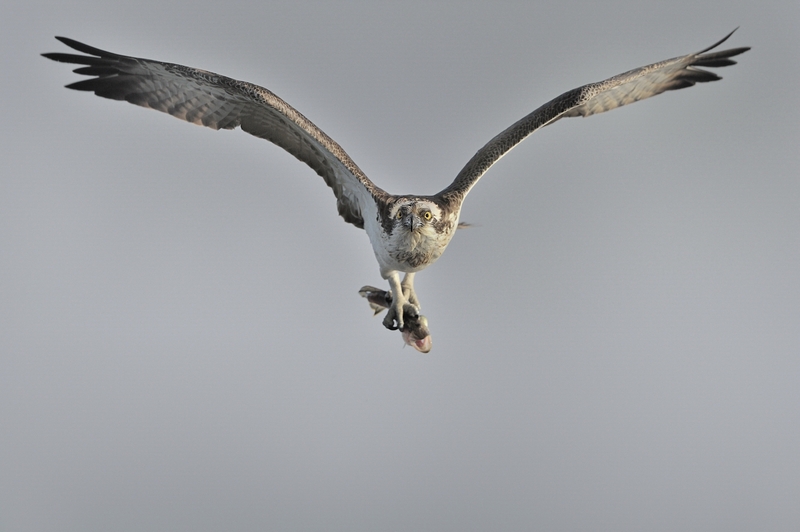 An osprey which hunts in both artificial reservoirs. Black storks seeking food on the body of water in Kaleńsko. The attractiveness (in case of breeding) of the reservoirs causes many nesting attempts. Birds attempt breeding mostly on islands and splits of the bodies of water, but very rarely do they succeed. 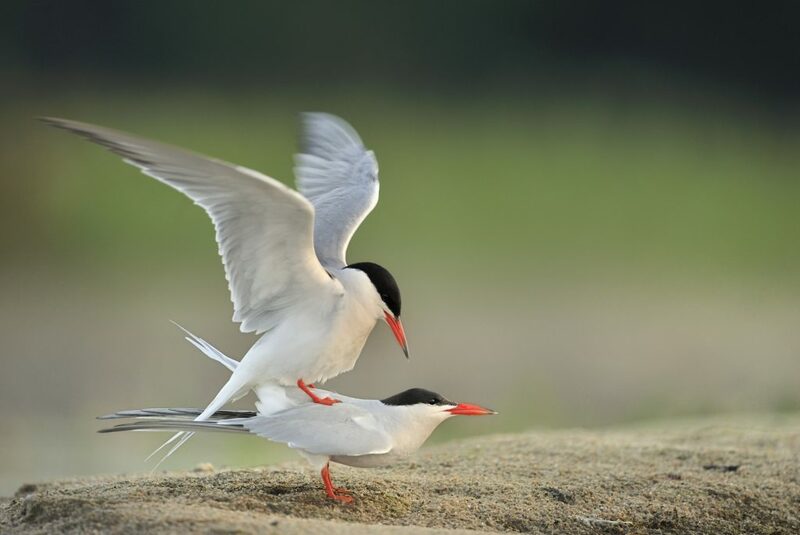 A fully natural breeding success happened only once in the years 2006 – 2013 and was accomplished by common tern. Little tern (which is way rarer than the common tern) did not succeed even once (in 2013 a great amount of 11 pairs(!) participated in breeding, which is a record-breaking amount in western Poland). Eurasian oystercatcher, little ringed plover and common sandpiper lose their clutches in a similar fashion. Photographical documentation of the issue is visible below. The varying water level of the river is a direct or indirect cause of these issues. 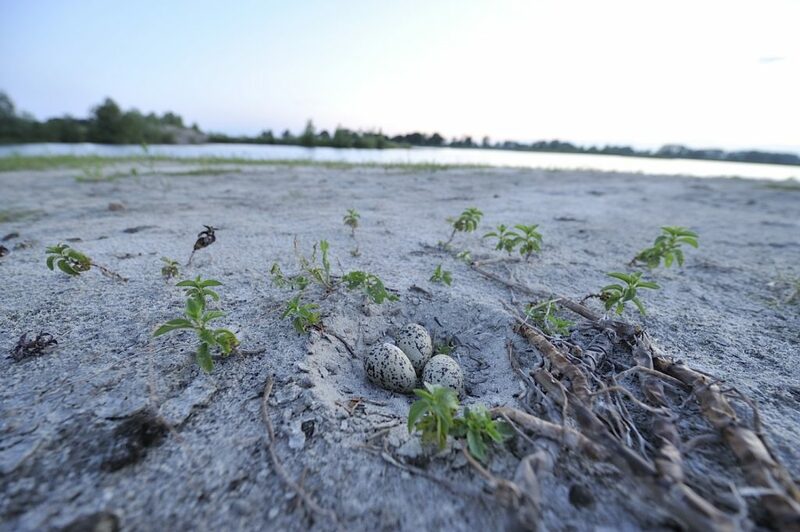 The nests are usually flooded by overflowed water (as in the years of 2007, 2011 and 2012) or are penetrated by predators due to the increased accessibility caused by low water level. The predators include American mink, raccoon, raccoon dog and fox. Leaving this case unnoticed causes drops in population of those valuable species, which breaks the statements of the Birds Directive. Its nest a few days later, destroyed by water. 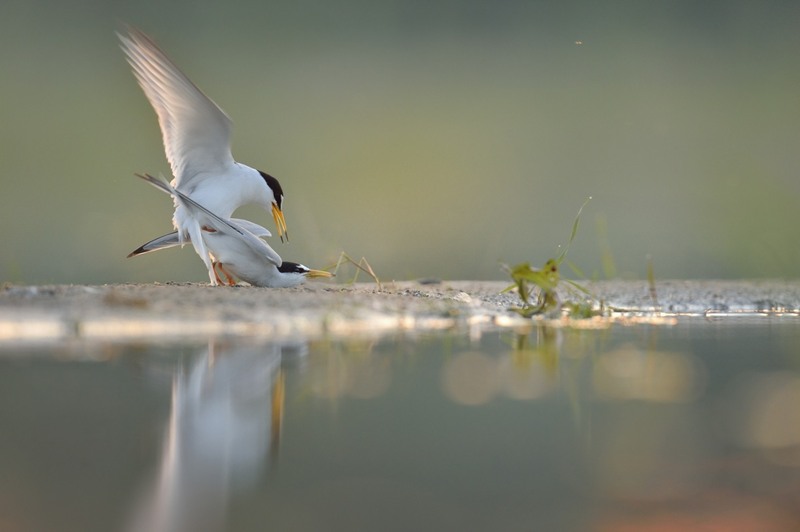 Nesting pits (of terns and little ringed plovers) raided by mammals due to low water level. Clutch destroyed by land predators that gained access to the island thanks to low water level. A nest of an Eurasian oystercatcher, the clutch was destroyed after the water level has lowered and allowed passage from land. 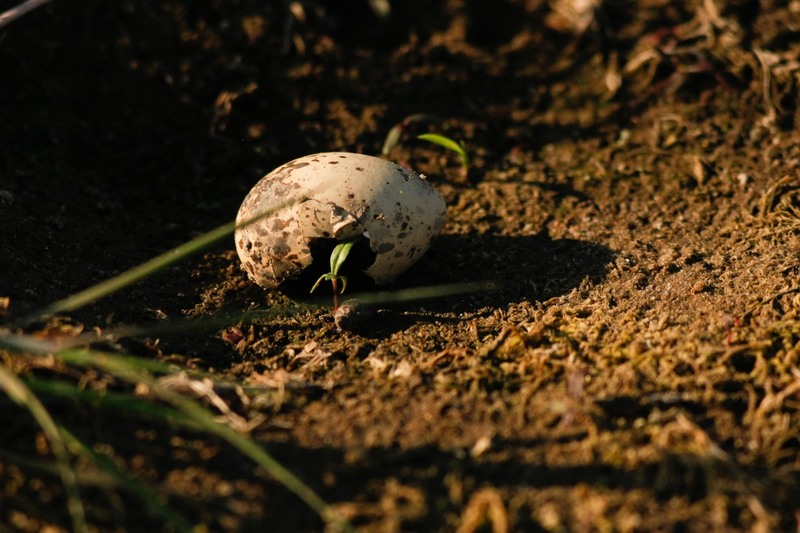 The effect of predatory on Eurasian oystercatcher’s clutch. Copulation by the nesting site. The raising water indisposed a successful clutch. Little terns standing on a flooded nest. Impregnated birds were forced out of their nests by the raising water and quickly built new rough and ready nests on a dirt road, which were later destroyed by vehicles. Nest of little terns left on a dirt road. The goal of the planned actions is to increase breeding effectiveness of birds in the valleys of the Odra and Warta rivers. The goal is going to be accomplished by creating habitats free of the dangers mentioned earlier. 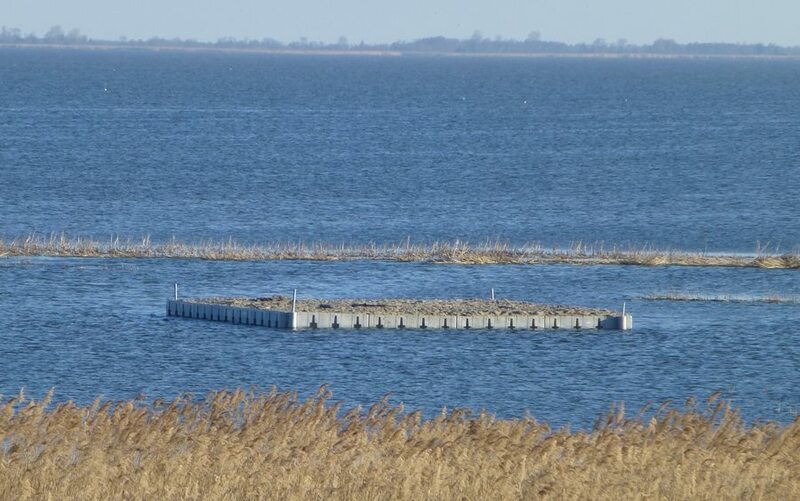 The main part of the project is to place three floating nesting platforms on the waters of the artificial reservoirs (there were once gravel mines) in Chlewice and Kaleńsko. The municipality of Boleszkowice is the owner of both bodies of water together with the company Minerały sp. z o.o., which owns a small part of one of them as well. Both organizations have signed a partnership deal, which enables the Foundation to implement the project in said areas. The project involves the installation of three floating platforms in order to imitate natural islands. The constructions are going to have a size of 100 m2 each and will be made from a sturdy material that is resistant to environmental factors. The top layer will be covered with a net, which then will be covered with sand of varying fractions, then another net will be placed, then even more soil. A fence made of sheet metal is going to be placed around it in order to keep land predators away. The platforms will be anchored to the ground below so that they remain stationary, their ability to float will prevent water level variations from influencing the clutches. 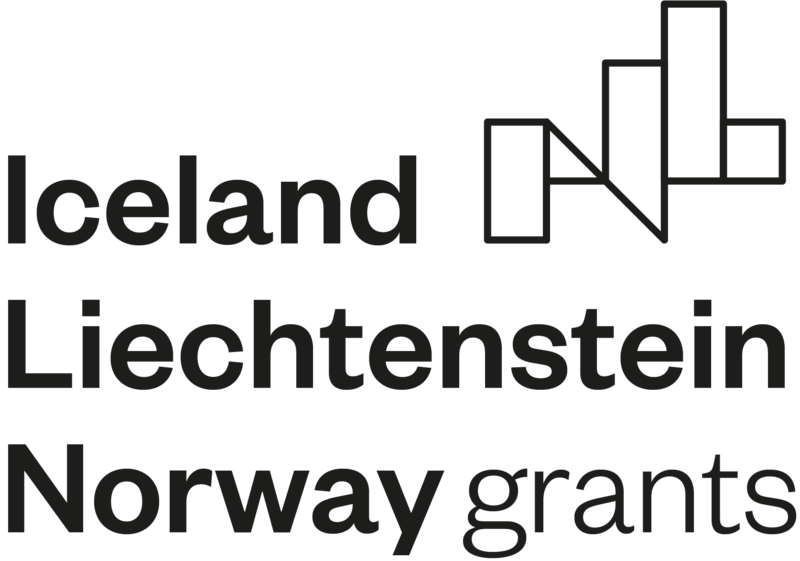 It will be the first ever attempt to implement such a project in western Poland. 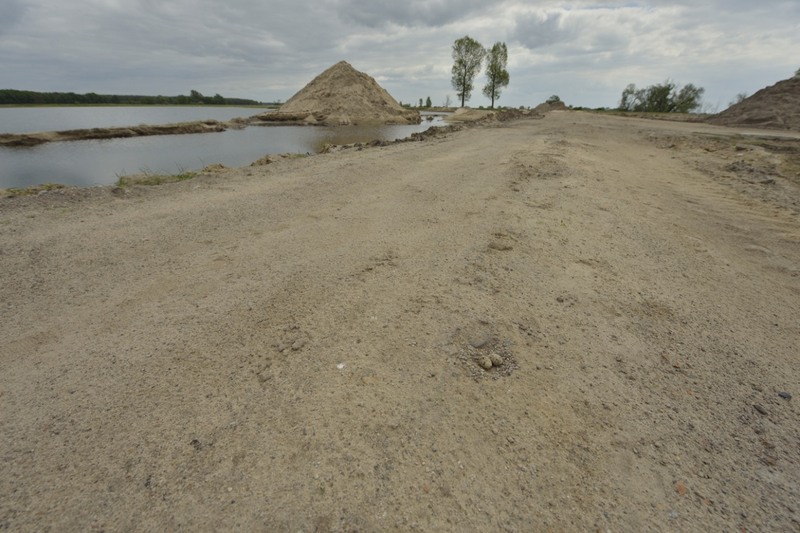 Similar islands have been installed in April 2016 in Zalew Wiślany by a non-governmental company “Drapolicz” (www.drapolicz.org.pl , “Projekty” tab, and “Wyspy na zalewie”). 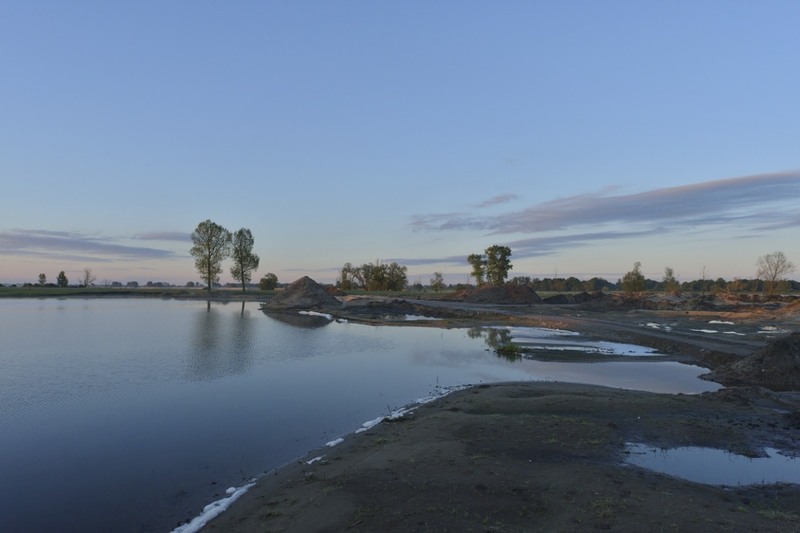 The installation of the islands will not only solve the problem of breeding failures of the birds mentioned above but will also unarguably increase their count greatly. The actions presented above will be implemented in the area of Natura 2000 “Dolna Odra” (PLB320003 and PLH320037). Current active protection undertaken by the Foundation with the assistance of mine authorities in order to prevent man pressure (fishermen). 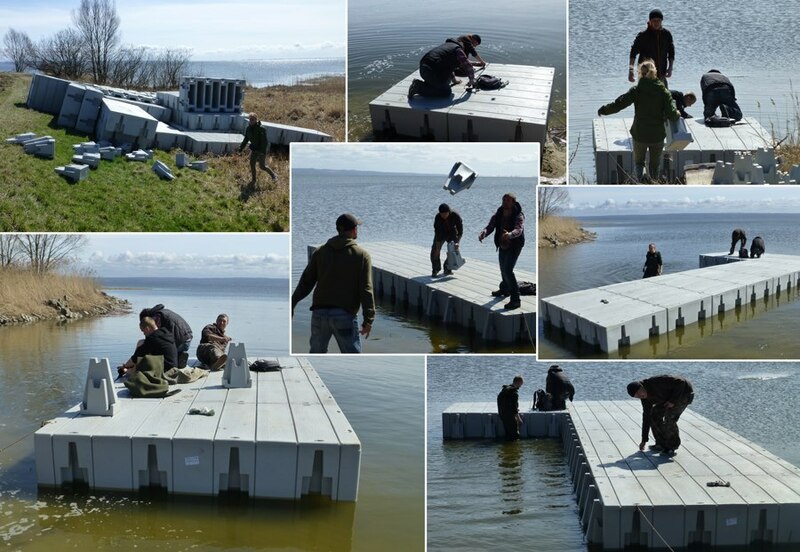 Construction of the floating platform that imitates a natural island. The material, from which the platforms are built, is very sturdy and resistant to external conditions (it is used to build piers, which last for many years). The project’s partners have covenanted to protect its territory by signing partnership contracts. Moreover, the owner of the private sector (the mine) has been supporting pro ecological activity in the area for many years. Also, the durability of the project is assured because the project is not in conflict with exploitation of the mine or any other activity that could be conducted in the area. It is important to note that the platforms only take up a small fragment of reservoirs, which are positioned in areas that are outside of human interest. Close proximity to the Ujście Warty National Park (15 kilometers), which is visited by 50 000 (data from PNUW from 31.12.2012) yearly, allows us to predict their interest in this project. It is also expected that communities involved in the project will develop economically. The Foundation covenants to take care of the “islands” for years to come and conduct necessary renovations. Advanced works on the subsequent development of the platform. The marsh is going to be recreated on 2 hectares of wetland by flooding them in a controlled manner. To achieve this, the surface of the wetland will be modified so that it has a richer shoreline. Besides, the valve that controls the water level will be reconditioned to assure that the water level is high enough during the breeding seasons (until the end of July). Those actions are going to be implemented entirely in the area of Natura 2000 „Ujście Warty” PLC 080001. The close proximity to a national park, which is often visited by the birds, makes the marsh attractive for the birds, though, unfortunately, not many breed successfully because of varying water levels. Another action involves building a system for live monitoring and the promotion of the area, its natural values and problematic aspects of protecting it, as well as educating local citizens. The project includes publishing (book and flyers), training courses for the locals that include school trips to the area included in the project, and encouraging the young to an active participation in protecting the wildlife of the islands. The Foundation currently cooperates with facilities that have been focusing on studying and preserving the wildlife for a couple of years now. 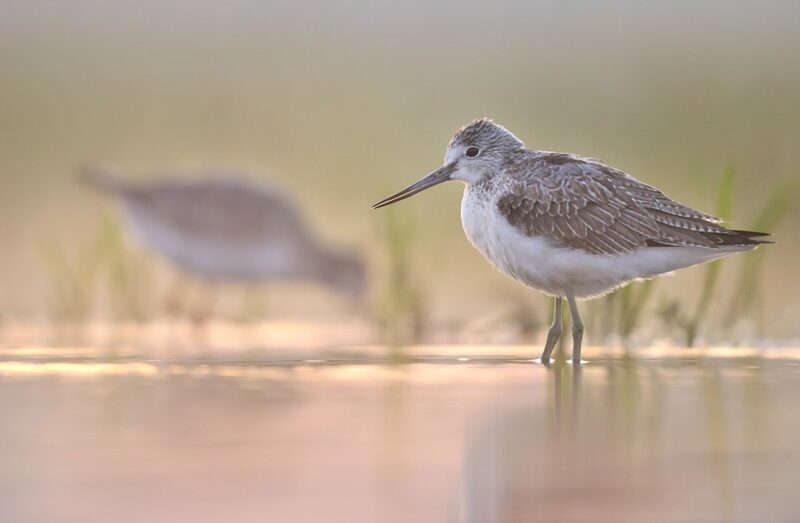 The partners of the project are: Ornithological Station PAN in Gdańsk, which expressed its interest in helping the project succeed, and Ornithological Station in Melitopol (Ukraine). 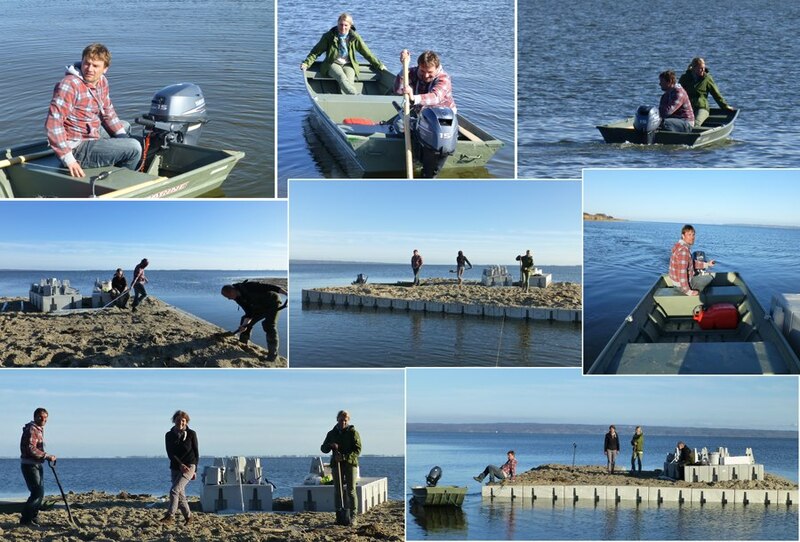 Apart from those mentioned above, Ptaki Polskie Association declared its will to share their expert knowledge of the processes necessary for recreating marshes, the organization Drapolicz, which installed similar floating platforms in Zalew Wiślany, as well as two local communities and representatives of the economic sector. The partners of the project make a valuable contribution, which will undoubtedly ensure the successful realization of the project.